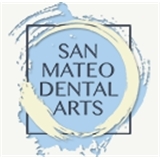 San Mateo Dental Arts (San Mateo) - Book Appointment Online! I thank my lucky stars my Delta Dental Plan steered me to Dr. Phan! I must've been a good boy growing up! ? ?